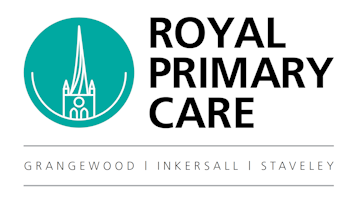 Royal Primary Care comprises three sites in Chesterfield – Grangewood, Inkersall and Staveley and two in Clay Cross – Clay Cross and Grassmoor. This is the website for Royal Primary Care Chesterfield, the website for Royal Primary Care Clay Cross can be found here. We provide primary care services for around 22000 patients at our 3 Chesterfield sites. Royal Primary Care Chesterfield and Clay Cross are part of Chesterfield Royal Hospital NHS Foundation Trust. 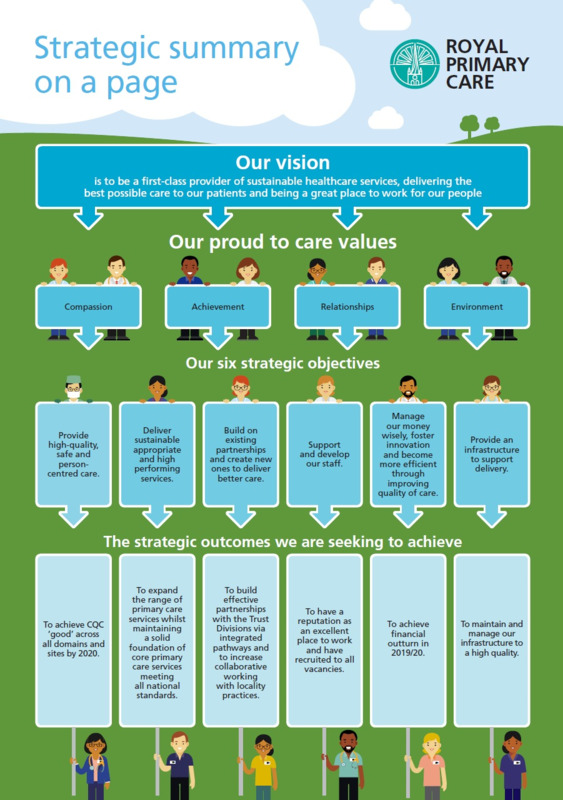 We operate as the Division of Primary Care alongside the other Trust Divisions: Clinical Specialist Services, Medicine and Emergency Care, Surgical Specialities and Women and Childrens. In order to provide the best service in a challenging time for the NHS we have a mix of health care professionals that make up our Primary Care Team. Care Navigators – our call handlers and receptionists are trained to help navigate you to the most appropriate member of our health care team, its not always the Doctor you need to see! ALL of our staff abide by the same professional and confidentiality standards. They will ask you details about the reason you are requesting an appointment. Our Practice Nursing Team led by Matron Lisa Callaghan – Head of Nursing at Royal Primary Care, is able to deal with a wide variety of issues including long term health conditions such as diabetes and COPD, cervical screening (smears), contraception and travel health clinics. Our Specialist Mental Health Practitioners are skilled in managing all aspects of mental health and work closely with the GPs and the Community Mental Health Services. Our Physiotherapists are the ideal specialist to deal with joint and muscular problems. They can access x-rays and scans if appropriate and many do joint injections. Our Advanced Nurse Practitioners are a key part of the clinical team and take part in the “duty” or “on call” role, do home visits and nursing home ward rounds. ANPs are experienced nurses who have undertaken extensive further training in order to be able to manage a wide variety of clinical problems. We have great confidence in our ANPs and they are able to deal with many medical problems. GPs – Our GPs form the core of the Primary Care Team. Many of our GPs have special clinical interests, however all are able to manage general medical and health problems.